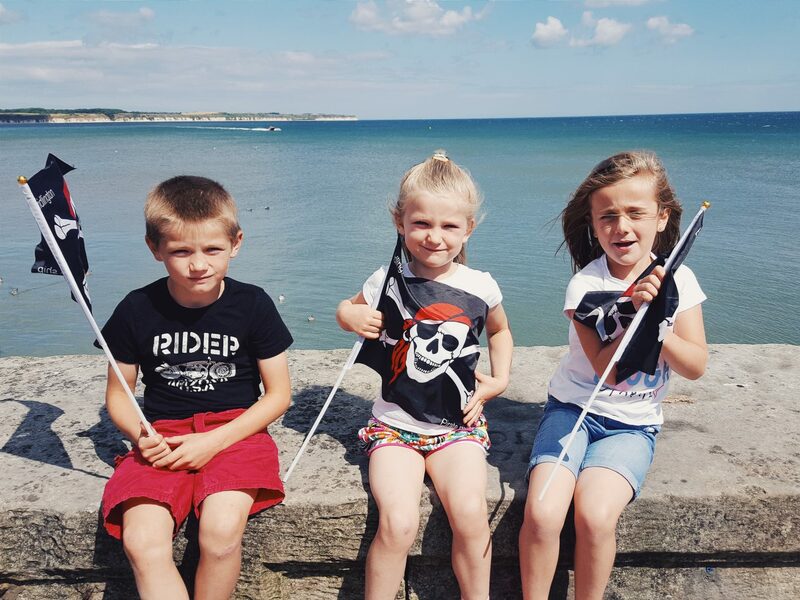 One of my favourite Ordinary moments of this week was on Friday when I got to hang out with 3 little pirates! Of course it helped that it was almost the weekend, but with glorious sunshine and sea views, it was bound to be a great day. 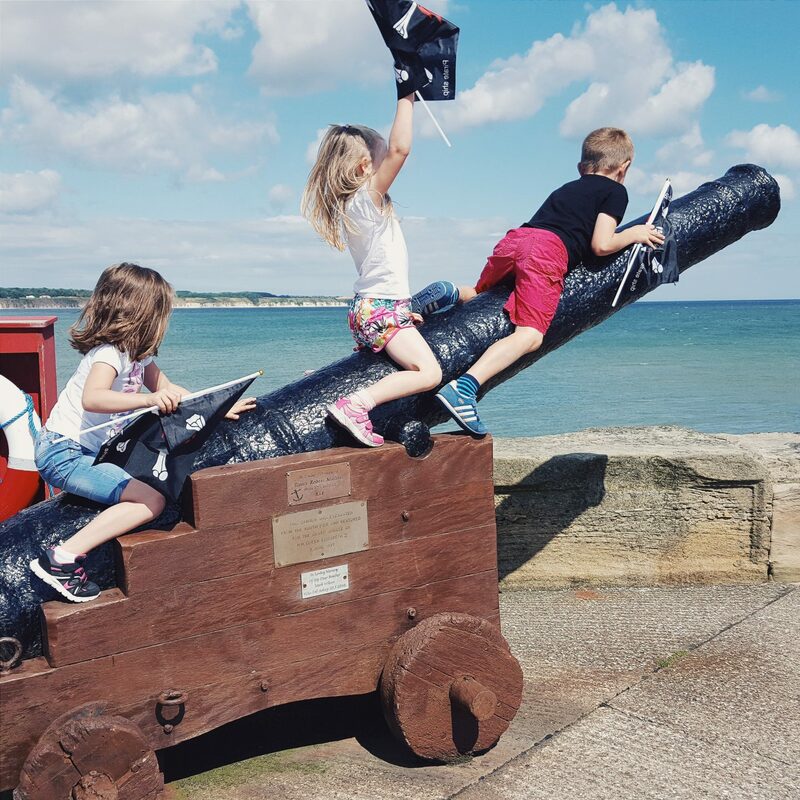 Every time we visit Bridlington on a sunny day we love to go on the pirate ship. It’s a cute little ride on a relatively old boat, kitted out pirate style! It takes you out of the harbour and around the north side for about 10 minutes or so for a little adventure, and is just enough to get a taste of the sea (and only a couple of £s each). We have been doing it for years and its a lot of fun! 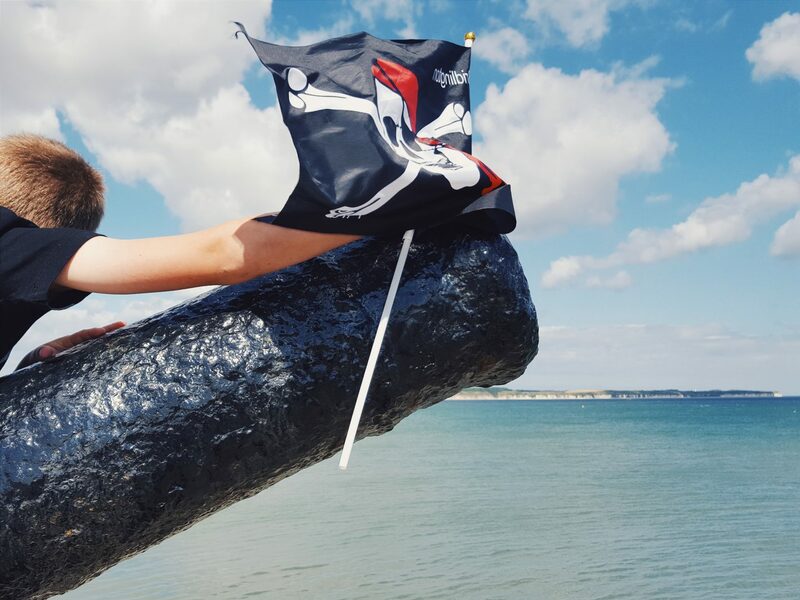 We also get nagged by the kids to play pirate golf whilst there, and we pretty much never do! I usually fob them off to say it’s something to keep for school holidays as we’re often busy with other things too. But earlier this year I did gain mummy points when I added it to our Summer bucket list . Now summer is here and the days are our own, I thought a pirate day would be a really fun idea! I thought of combining all of our loves at the seaside into one day and having the ultimate pirate-y adventure. I knew the kids would love it, but at the same time I underestimated just how much. 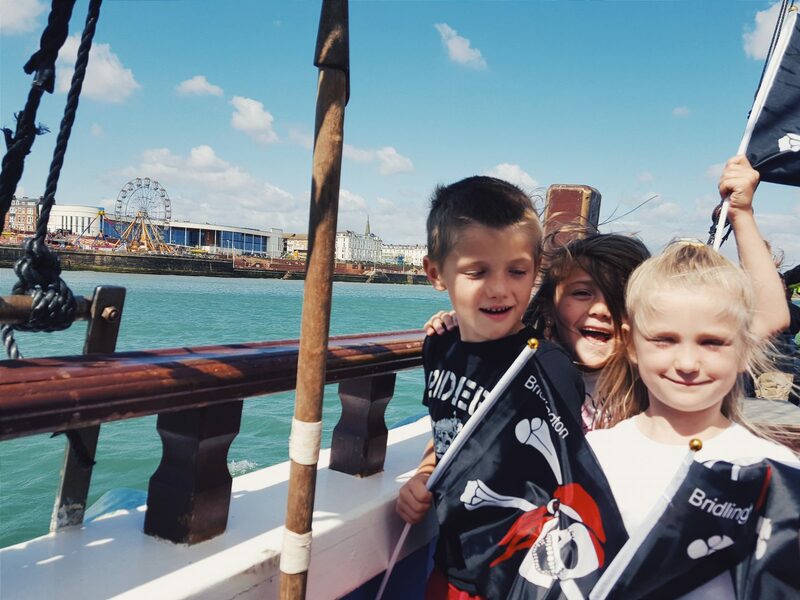 We met their cousin and played pirate golf, bought pirate flags, rode on the pirate ship and climbed on the harbour wall! We looked out to sea and they ventured through the fun house! All 3 of them were great little pirates & had gorgeous smiles and squeals of laughter all afternoon. It was so great to see them having a day filled with moments of fun, imagination and little adventures! I love it so much when moments unfurl to be equally good (or greater) than you have imagined and create lovely ordinary moments that remind you what an adventure life is. Next Post Squidge & Pip Sensory Teething Toy | Review & Giveaway! 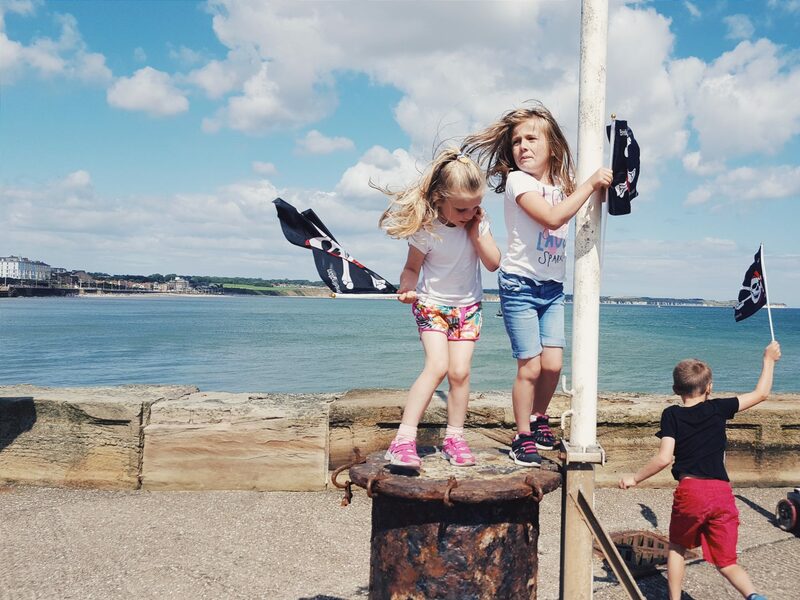 I love your pirate photos, what a fab idea for a day out! Brid is on our bucket list for the summer, and I had forgotten about the pirate ship. James has a cruise on his summer bucket list, I’m wondering if a ride on a pirate ship might tick that box, we might struggle otherwise! I love this idea! Blatantly going to pinch it for when the kids are a little older as we’re near to the sea too! Hope the rest of your summer is lovely!